Loan Officer - Evaluates, authorizes or recommends approval of commercial, real estate, or credit loans. Advises borrowers on financial status and methods of payment. Includes mortgage loan officers and agents, collection analysts, loan servicing officers, and loan underwriters. Loan Officer is part of the Finance cluster Banking Services Careers pathway. Approves loans within specified limits and refers applications outside those limits to management for approval. Meets with applicants to obtain information for loan applications and to answer questions about the process. Analyzes applicants' financial status, credit and property evaluations to determine feasibility of granting loans. Explains to customers the different types of loans and credit options available, as well as the terms of those services. Obtains and compiles copies of loan applicants' credit histories, corporate financial statements and other financial information. Reviews loan agreements to ensure they are complete and accurate. Remains aware of new types of loans and other financial services and products in order to better meet customers' needs. Submits applications to credit analysts for verification and recommendation. 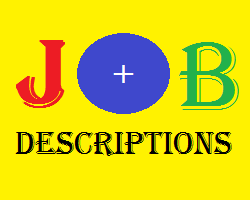 Belum ada Komentar untuk "Jobs Description of Loan Officer"